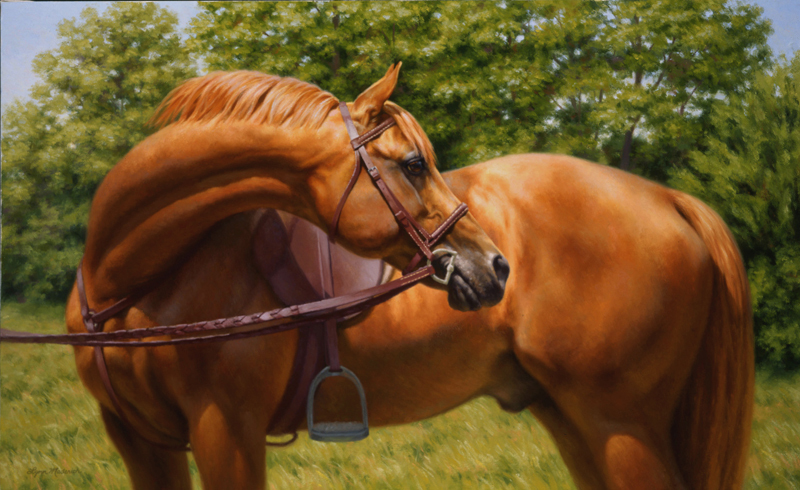 Included in the Cross Gate Gallery 2007 Masters of Foxhounds Centennial Tour. 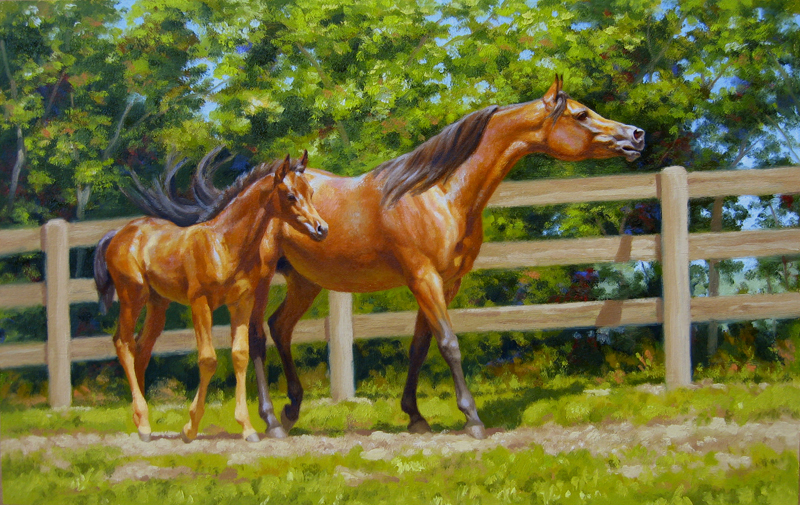 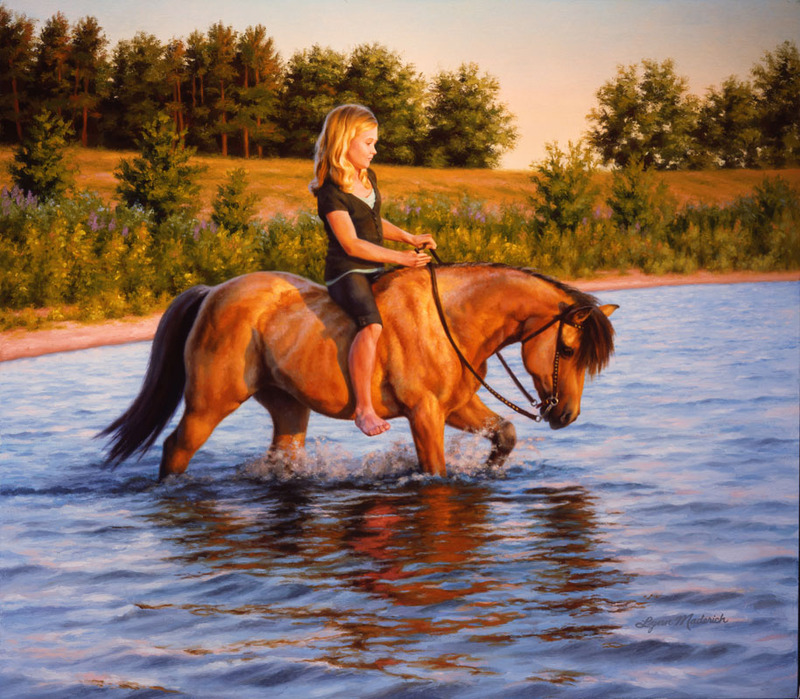 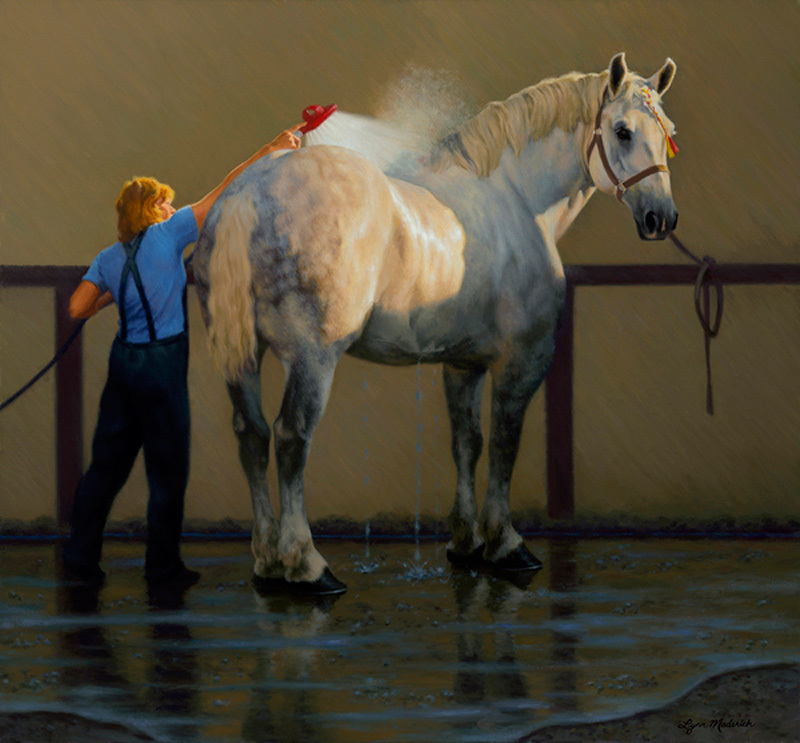 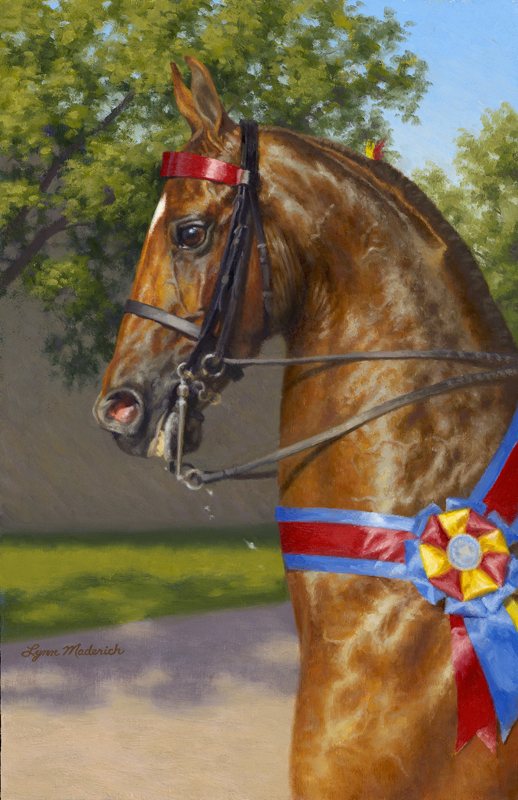 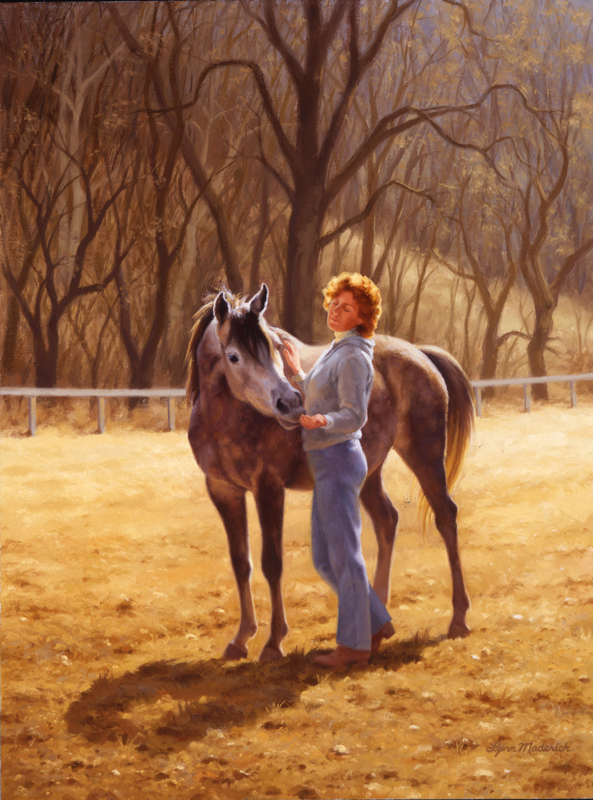 Included in the 2010 American Academy of Equine Art’s spring invitational exhibition. 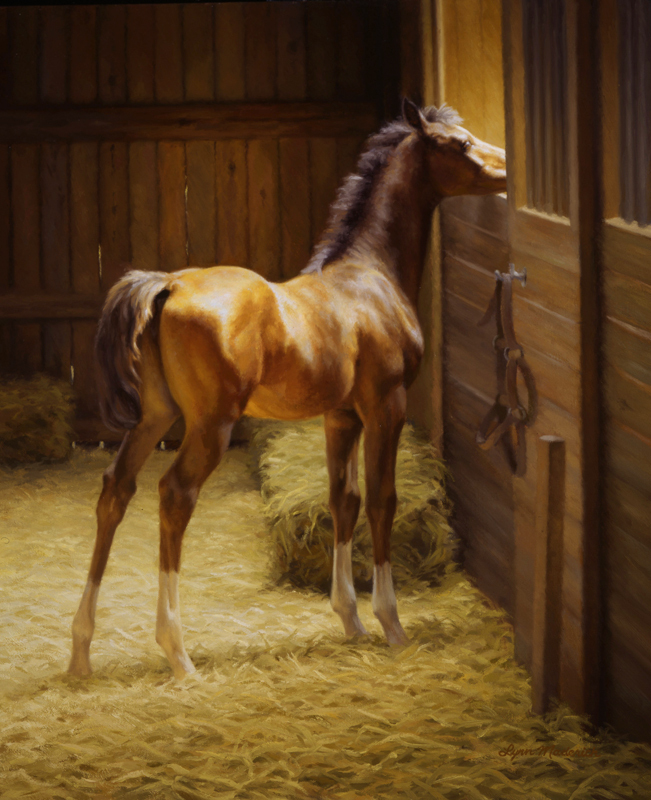 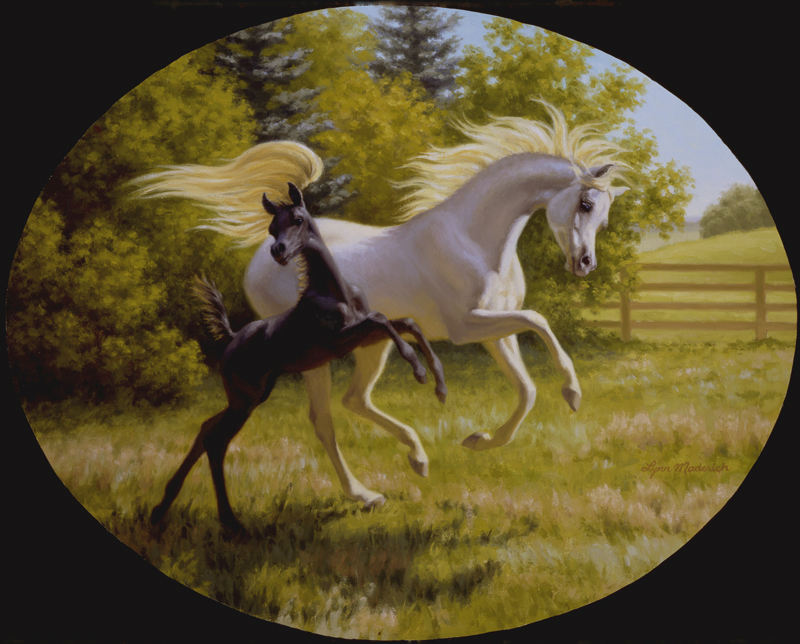 The original photograph that inspired this painting was of a stallion at liberty who turned when someone led a mare out of the barn across the pond. 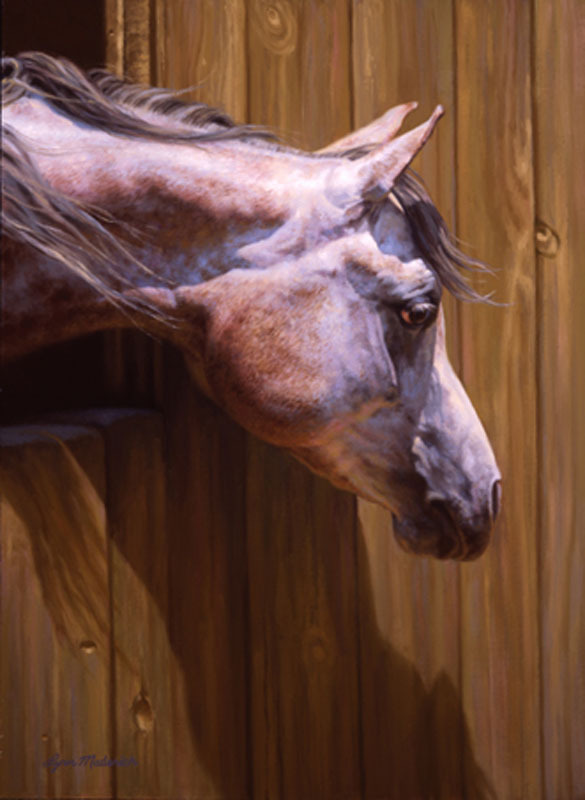 I was so taken with the unexpected image of his head facing opposite of his own body that I knew I had to paint it. 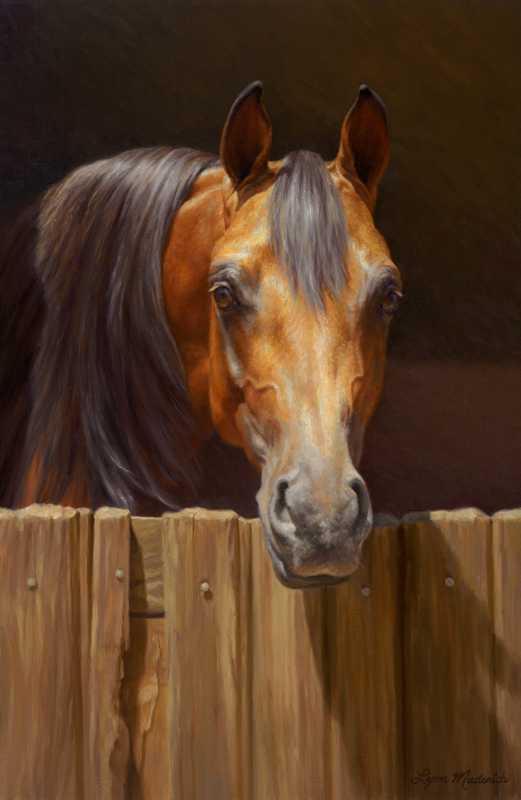 But I added tack and decided that he was responding to the sound of a distant hunting horn.